Sheikh Shaheen urges the military to heed demonstrators’ demands. 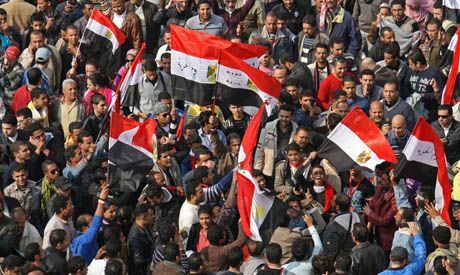 More than a million people are in the streets of Alexandria and Cairo. Appointed as the new prime minister, Kamal Ganzuori is tasked with forming a national unity government. He was also prime minister under Mubarak. Cairo (AsiaNews) – Al Azhar is backing Tahrir Square protesters, calling on everybody to defend Christians. In his Friday sermon, Sheikh Shaheen, from al Azhar, the most important Sunni university, slammed the Supreme Council of the Armed Forces (SCAF) for listening to politicians rather than the young protesters. Dubbed the ‘imam of the revolution’, he called on state TV to give the revolutionaries their own channel to express and spread their views. Today, more than a million people are in the streets of Cairo and Alexandria to demand the dissolution of the SCAF and the postponement of the elections. For its part, the SCAF has asked Kamal Ganzuori, 78, to form a new government of national unity. Mr Ganzouri is a former prime minister under Mubarak. The new cabinet is expected to include for the first time members of the Muslim Brotherhood. For Nagui Diamiam, a young Coptic Catholic demonstration, the support of al Azhar is great news.